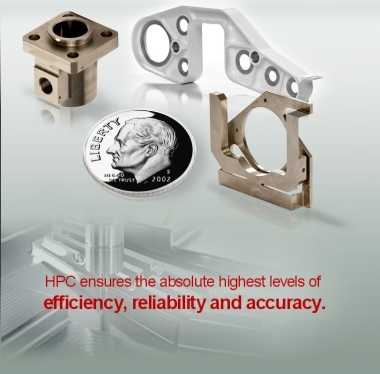 “HPC” is a Full Service Precision Machine Shop from prototype to production. We specialize in Ultra Precision Machining and quick deliveries. We have been involved in machining precision components for the U.S. Government, Department of Defense, Aerospace, Medical, Surgical, and Electronic Industries since 1960. We pride ourselves on our Quality and Commitment to deliveries, which are prompt, including J.I.T.’s. Quotations are confirmed within 48 hours. Aerospace components also demand specialty materials that we are very familiar with. Our tight tolerance capabilities allow us to be the perfect source for your next precision machining need. We can work with all materials commonly used in the Government, Department of Defense, Aerospace, Medical, Surgical, and Electronic industry. We are MIL-I-45208A approved and ISO9001 Compliant.